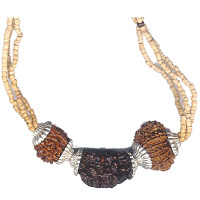 Introduction: This Rudraksh Kavach is ideal for rapid growth and advancement of trade. It is prepared by combination of one faced Rudraksh (Cashewnut Shape), Fourteen Faced Rudraksh and Ganesh Rudraksha. 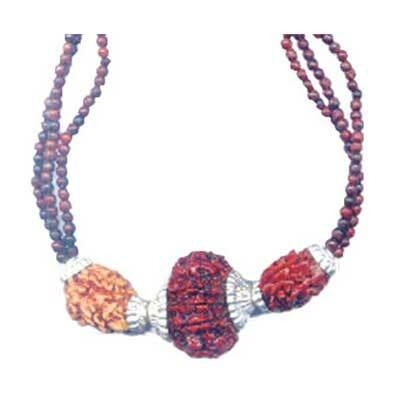 One Faced Rudraksha is equivalent to the deity of Lord Shiva. It opens the doors for Goddess of wealth, Laxmiji. 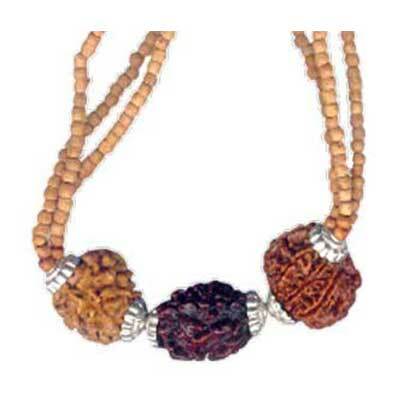 The 14 Faced Rudraksha is a symbol of totality; therefore its use accelerates the completion of jobs and wishes. 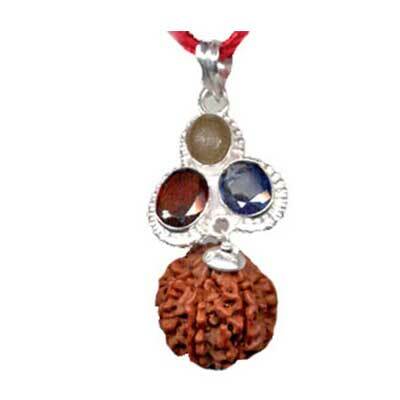 Ganesh Rudraksh is a symbol of gains and good luck. 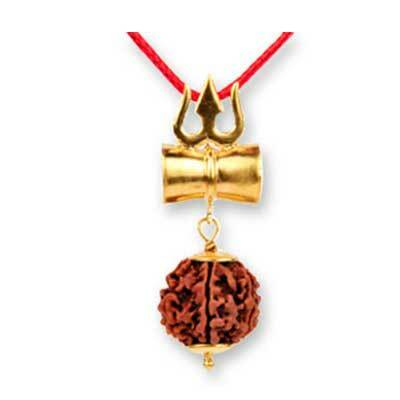 This Rudraksh Kavach is ideal for speedy success in business.